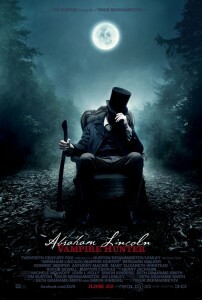 ABRAHAM LINCOLN VAMPIRE HUNTER Opens June 22! Enter to Win Passes to the St. Louis Advance Screening! In order to enter the contest, “like” ReviewSTL on Facebook . Then tell us why you want to see the movie below in the comments on this page! NO PURCHASE NECESSARY. While supplies last. Passes are available on a first-come, first-served basis. The screening is Tuesday, June 19 at Wehrenberg Ronnies 20 Cine (4:30pm).